The remarkable Xiaohe Cemetery in China is renowned for its rich trove of mummies and artifacts, and it has now given up another secret of the ages; the oldest glue ever found in China. Yang Yimin, associate professor with the Chinese Academy of Sciences told ShanghaiDaily that micro samples of semi-transparent, yellowish adhesive found embedded in a wooden artifact have revealed it is a sticky gelatin made from cattle collagen. The find changes the history of animal glue in that area of the world, pushing it back to roughly 3,500 years ago. Gelatin was commonly manufactured by cooking the bones, skin and tendons of animals. Previous to the Xiaohe discovery, animal glue use dated back to the Han Dynasty (202 BC – 220 AD), according to ShanghaiDaily. The ritual staff, inlaid with bone sculpture, was in an excellent state of preservation, thus allowing researchers to secure samples of the glue. The area is well known for having dry, arid conditions, which preserved this and many other specimens. The size of the Xiaohe tomb complex and the scope of the preserved artifacts is unprecedented. 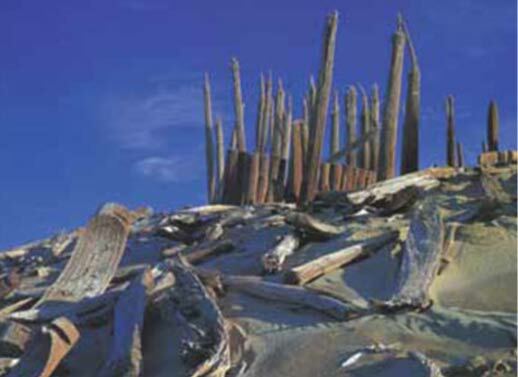 330 tombs were found in multiple layers. The tombs included adults and children as well as 30 well preserved mummies. About half of the tombs were looted by grave robbers. 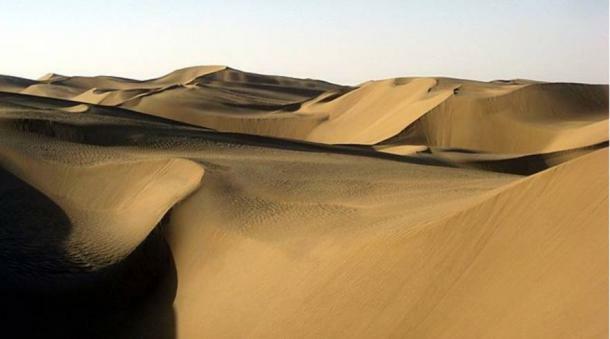 The vast burial grounds in the in the Taklamakan Desert remains the largest find of mummies on a single site anywhere on Earth to this day. Finds included heavy wood and clay coffins shaped like boats, jewelry, cowhides, clothing and baskets, wooden masks and other carvings. 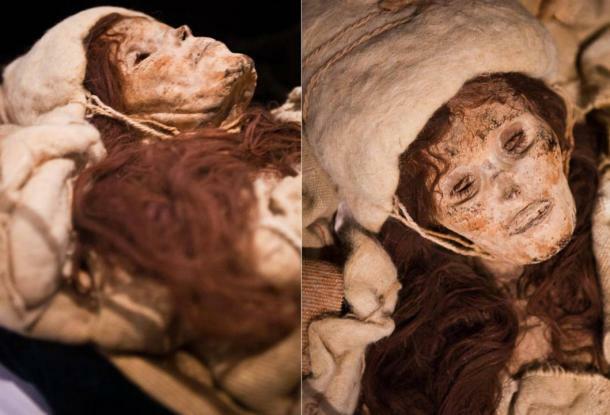 Most famously, the ‘Beauty of Xiaohe’ mummy was discovered there, the arid desert conditions preserving her smooth skin and delicate features. The recent discovery of the rare glue rewrites what experts knew about manufacturing in antiquity, and the craftsmanship of ancient peoples traveling through the arid terrain of western China.